COPD is a lung disorder that causes the airways of the lungs to be inflamed and narrowed, leading to shortness of breath and reduced activity. It can make breathing and everyday tasks difficult but much can be done to help you breathe easier, do more activity, and stay away from the emergency department or hospital. By working closely with your family doctor or Nurse Practitioner, we can help optimize COPD care for affected individuals and their families. You will be seen by the COPD Nurse/ Pharmacist for an assessment, follow up visits will be scheduled according to your needs. These visits will give you the skills, information and support to help you take control of COPD. Do you cough up phlegm (mucous) regularly? Do you wheeze when you exercise or do chores or at night? Do you get a lot of colds, and do they last longer than other people’s colds? 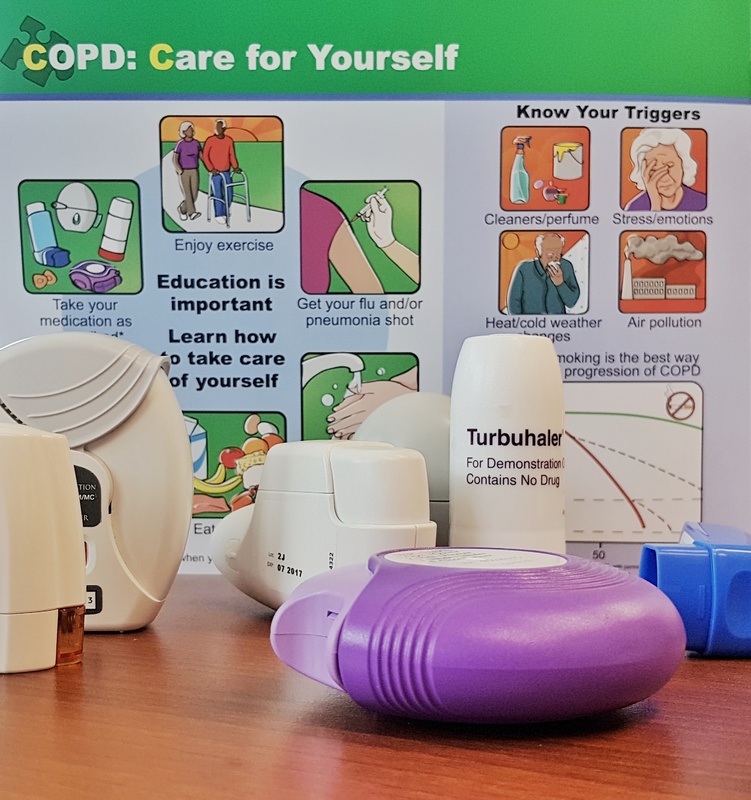 Throughout the year we also are involved with the Kenora Recreation Centre’s Fitness for Breath program which is an exercise program for those with breathing difficulties. Please contact us at 468-6321 for more information.